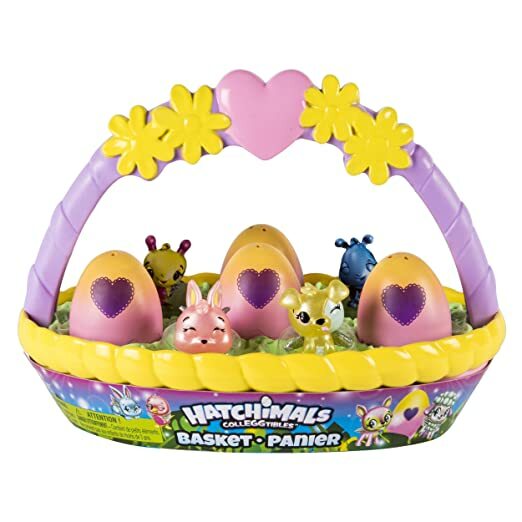 On Amazon.com you can now get this Hatchimals CollEGGtibles Basket with CollEGGtibles for only $10.99 (regularly $14.99). Both Hatchimals CollEGGtibles baskets includes four in-egg characters and two out-of-egg characters, including exclusives! Kiddos can tuck their new friends into the eight included nests and place them in the baskets for easy carrying or storage. On Macy’s you can now buy these Women’s Maison Jules Sweaters for only 2/$12.99 (regularly $14.99 each). Even better, you can save an additional 20% with promo code SAVE at check out. Final cost $10.39 total – just $5.20 each! 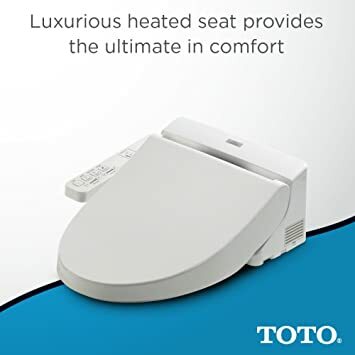 On Amazon.com you can now get this TOTO Washlet A100 Elongated Bidet Toilet Seat for just $206 shipped (regularly $267.10+). This elongated bidet toilet seat is heated with temperature control. It has a self cleaning wand that automatically cleans after it has been used and an arm control panel for a personalized experience. The mounting and connection hardware is also included. On GameStop.com you can now get this Nintendo Switch Pikachu & Eevee Edition with Pokemon: Let’s Go, Pikachu! Bundle for just $399.99 shipped! This special edition Nintendo Switch includes the Nintendo Switch system, a Pikachu & Eevee themed dock, matching Joy-Con controllers, the Poké Ball Plus accessory, and a download code for the Pokémon: Let’s Go, Pikachu! game. The Poké Ball Plus lights up, vibrates, and plays sound based on what you do in Pokémon: Let’s Go, Pikachu! When you take your favorite Pokémon out with you, you can also gently shake it to hear the Pokémon inside! 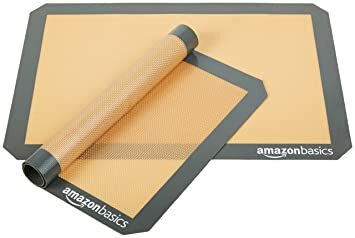 On Amazon.com you can now get this AmazonBasics Silicone Baking Mats 2-Pack for just $8.37 (regularly $13.99) – that’s just $4.19 each! These baking mats are made from silicone and are oven-safe up to 480° F. With these baking mats you’ll have no need for cooking spray or parchment paper, and each one fits a half-sheet pan. On Amazon.com you can now get this LEGO Star Wars Darth Vader Transformation Building Kit for just $13.99 (regularly $19.99) – best price! 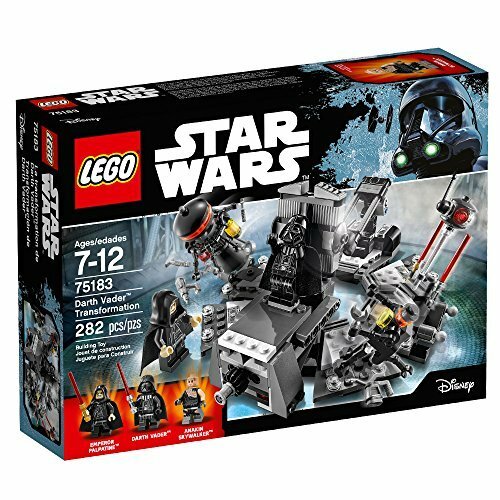 This 282 piece set comes with Emperor Palpatine, Anakin Skywalker and Darth Vader, plus two buildable medical droid figures. The set builds into the Emperor’s medical bay and recreates Anakin’s change into Darth Vader with the turning table and helmet applicator. On Amazon.com where you can now get this highly rated Nerf Rival Phantom Corps Hades XVIII-6000 Blaster for just $29.88 (regularly $69.99)! Plus if you shop with Amazon, shipping is free! 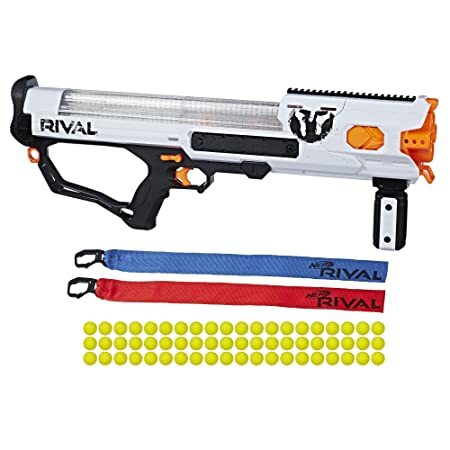 This HUGE Nerf blaster features a high capacity blaster with 60 included rounds and an integrated easy-load magazine. It can fire at 100 feet per second, and has a spring-action mechanism, trigger lock and more. Today, March 27th only, on Home Depot where they are offering up to 45% off select patio furniture & more! Plus, all of these items ship for free! Hampton Bay Oak Cliff 7-Piece Metal Outdoor Dining Set with Chili Cushions for only $399 delivered (regularly $599)! 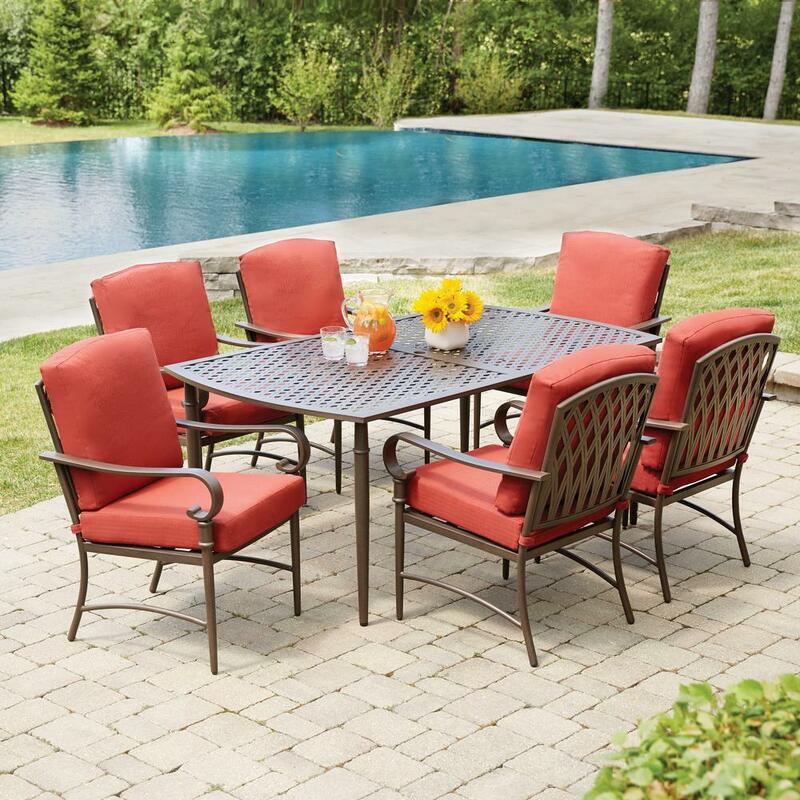 This set features six stationary chairs with weather-resistant tailored cushions and includes a 68 in. x 40 in. outdoor patio dining table with a hole for an umbrella. And the sturdy, powder-coated steel frames ensure the set lasts for a long time. Today, March 27th only, On Stila.com where they are hosting a Buy 1 Get 1 FREE sale on select Stila Highlighters! No promo code is needed as the price will adjust at checkout. Stila Heaven’s Hue Highlighter $32 each, Buy two = $64, Minus BOGO Free, Final cost as low as $32 total. For a limited time, Macy’s.com is offering a FREE Clinique 7-Piece Gift Set (a $93 value) with any $29+ Clinique purchase – no promo code needed! This 7-piece gift set features an exclusive makeup bag and trial sizes of Take The Day Off Makeup Remover, Smart Night Custom-Repair Moisturizer, High Impact Mascara in Black, Pop Lip Colour + Primer in Love Pop and Clinique Happy. Plus, you get to choose a full-size signature moisturizer – Dramatically Different Moisturizing Lotion 50ml, Dramatically Different Oil-Control Gel 50ml or Dramatically Different Hydrating Jelly 50ml.